The Ministry for Foreign Affairs of Finland and Political Parties of Finland for Democracy – Demo Finland mark the International Women’s Day by organizing a seminar on women, elections and campaigning. The seminar will take place on March 8th, 8:30 – 12:00 at the House of Estates (Säätytalo, Snellmaninkatu 9-11) in Helsinki. Keynote speech will be delivered by President Tarja Halonen. The seminar is organized only a month before the Finnish Municipal Elections and once again, women are competing for their seats, for their parties but also to strengthen women’s overall participation in decision making. Why are women still underrepresented in politics, and even more so in municipal councils? 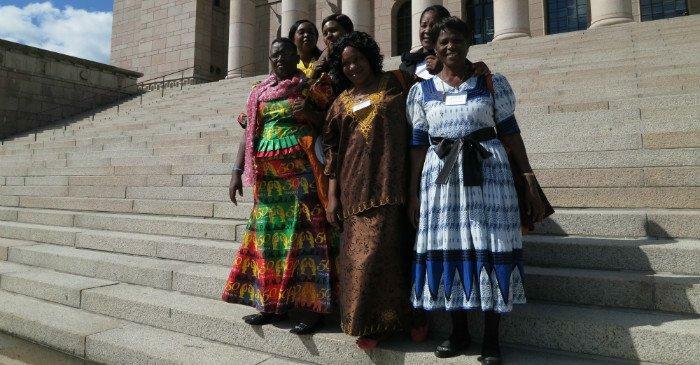 Beauty Katebe, Chairwoman of Zambia National Women’s Lobby, will present her organisation’s findings on the challenges and successes of Zambian women in general elections organized last Autumn. Dr. Mari K. Niemi from the Centre for Parliamentary Studies at the University of Turku will speak on women’s leadership reflecting whether gender equality in Finnish politics has been achieved. Members of the Parliament of Finland and City Councillors Tiina Elovaara (Finns), Silvia Modig (Left Alliance) and Saara-Sofia Sirén (National Coalition Party) participate in a panel along with Beauty Katebe to discuss their own experiences as politicians and candidates in elections. The seminar will be opened by Anne Lammila, Ambassador for Equality Issues, and final remarks will be given by the Member of the Parliament and Chair of Demo Finland, Eva Biaudet.